Do TV Ads Affect Children’s Diet, Obesity? Researchers at the University of Illinois at Chicago Institute for Health Research and Policy have received a $2.2 million federal grant to determine whether or not TV food advertising affects children’s diet, physical activity and weight. The four-year project, funded by the National Cancer Institute, is unique because it will separate out the effect of food advertising from the amount of time that children watch TV. “A number of studies have shown that increased TV watching is associated with higher weight outcomes among kids, but they haven’t been able to determine whether or not this is directly due to the type of ads children see,” said Lisa Powell, research professor of economics at UIC and lead scientist on the study. Watching television may also contribute to obesity because children are sedentary and likely to snack while they watch TV. The research, Powell said, can provide important information for policymakers and public health advocates about the potential effectiveness of regulating television food advertising to children and using TV media campaigns as policy tools for improving these health outcomes. Previous research conducted by Powell and her colleagues showed that 98 percent of food-product ads viewed by children ages 2 to 11, and 89 percent of those viewed by adolescents ages 12 to 17, were for foods high in fat, sugar or sodium. The current study is the first to combine food, beverage and restaurant ad ratings and nutritional data with individual data on obesity to analyze the relationship between product exposure, nutritional content of ad exposure, and food consumption, diet quality and obesity, according to the researchers. The study will also examine the relationship between exposure to health promotion ads — those that encourage eating fruits and vegetables or getting regular physical activity — and individual behaviors related to diet, activity and weight outcomes. By measuring the types of ads that children of different ages and races are exposed to, the researchers hope to be able to determine if advertising practices and television viewing patterns contribute to differences in diet and obesity among white and black children. This work builds on previous studies Powell and her colleagues have conducted examining the effects of environmental factors on children’s obesity. Powell hopes this study will play a crucial role in determining whether or not stronger regulation may be needed for food advertising on children’s programming. Co-investigators are Sherry Emery, senior research scientist at the UIC Institute for Health Research and Policy; Carol Braunschweig, associate professor of human nutrition; Euna Han, health economist at the Institute for Health Research and Policy; and, Frank Chaloupka, distinguished professor of economics and director of the UIC Health Policy Center. UIC ranks among the nation’s leading research universities and is Chicago’s largest university with 26,000 students, 12,000 faculty and staff, 15 colleges and the state’s major public medical center. A hallmark of the campus is the Great Cities Commitment, through which UIC faculty, students and staff engage with community, corporate, foundation and government partners in hundreds of programs to improve the quality of life in metropolitan areas around the world. Posted in Uncategorized | Comments Off on Do TV Ads Affect Children’s Diet, Obesity? The American people have named PBS the most trusted and unbiased institution among nationally known organizations, the most trusted source of news and public affairs1 among broadcast and cable sources,1 and the most educational media brand for children ages 2-82 according to new national polls. The research was conducted in December 2009 and January 2010 by the non-partisan, international research company GfK Roper Public Affairs & Media. “In a media world where profits drive decisions, public media stands alone in its singular focus on the American public and not the bottom line. PBS does more to serve the needs of our modern democracy with trusted, independent journalism and does more to help children succeed than any other media enterprise. Today’s citizens — whether they watch on-air, online, on mobile devices or in the classroom — understand this fundamental difference that distinguishes PBS,” said Paula Kerger, PBS President and CEO. PBS annually commissions this research to measure the organization’s performance and value as judged by its most important stakeholder — the American public. With local independent stations rooted in communities across the country, public media is unrivalled in its commitment to optimize the power and potential of media to strengthen our democracy, build stronger communities and improve lives. Full results are available at pbs.org/roper2010. 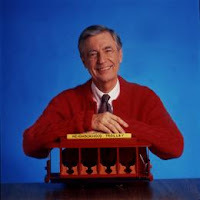 Starting today, fans can vote for their favorite episode of Mister Rogers’ Neighborhood on PBSKIDS.org. The winning episode will be broadcast on-air (check local listings) and online on Saturday March 20th, the third annual “Won’t You Be My Neighbor?” Day celebrating Fred Rogers’ birthday and his legacy of neighborliness. Voters can choose from seven favorite MISTER ROGERS’ NEIGHBORHOOD episodes available at PBSKIDS.org/rogers, including the colorful crayon factory tour, the inspiring visit with cellist Yo-Yo Ma, a whimsical Mister Rogers opera, the fascinating field trip with the performers of STOMP! and many more favorite moments. Additional full-length episodes will be added to the PBSKIDS.org/video in the weeks leading up to March 20th. In addition to the episodes, long-time fans of the series can enjoy never-before-seen clips, behind the scenes moments and outtakes from MISTER ROGERS’ NEIGHBORHOOD online at PBS.org/video. Fans can also share their favorite photos and stories in the “Neighbors of All Ages” area of PBSKIDS.org/rogers. PBS KIDS has also introduced “Mister Rogers’ Make a Journal,” an iPhone and iPod Touch application currently available in iTunes. The app, winner of a 2009 Editor’s Choice Award from Children’s Technology Review, features an animated version of Daniel Striped Tiger, a favorite character from the Neighborhood of Make-Believe, who invites children to make a journal to help them express their feelings. Windstorm in Bubbleland – a fanciful fun-filled story told in song about a place called Bubbleland where there is never any trouble until a windstorm threatens to destroy all the bubbles. Metropolitan Opera baritone John Reardon stars as a news anchor who helps us remember that by working together, we can overcome trouble. The Crayon Factory tour from an episode about Competition. Everybody’s favorite factory tour, How People Make Crayons is featured in this classic visit. And in the Neighborhood of make-believe King Friday announces a “Draw the Neighborhood” contest in Make-Believe, and Lady Elaine Fairchilde decides she will be the winner. If you like animals, you’ll especially like this episode. Mister Rogers takes a neighbor’s dog for a walk, and it’s nighttime in the Neighborhood of Make-Believe where puppet Ana Platypus wishes for a kitten for her birthday. Beloved Daniel Tiger is finding it hard to wait for his friend Ana’s big day and to give her his special gift. In this ever-popular episode, Mister Rogers takes a field trip to visit with STOMP!, the off-Broadway percussion performers who use everyday objects like brooms, pipes, buckets and their hands and feet, to make exciting music. Their visit is a way to let children know that there are many ways we can express our anger without hurting. Here’s the inspiring program with Yo-Yo Ma, world-famous cellist, where viewers enjoy his extraordinary musical talent and get to know him as he visits with Mister Rogers. Performing a variety of musical pieces, he shows how he uses music to express all kinds of feelings. Be Yourself : That’s the Best! A chance to go behind-the-scenes. Mister Rogers steps off the set to show the studio where he works and to introduce some of the people who helped make Mister Rogers’ Neighborhood. He even brings out some of puppets he uses in the Neighborhood of Make-Believe. 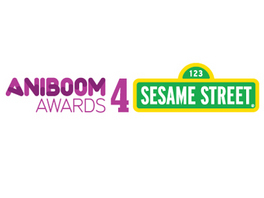 Sesame Street and Aniboom, the world’s first virtual animation studio, are collaborating for the Fourth Annual Aniboom Animation Awards! The Aniboom Awards 4 Sesame Street contest recognizes outstanding creativity among independent animators around the world and encourages animators of all levels to push the boundaries of innovation in the medium. Aniboom’s Virtual Animation Studio currently consists of over 8,000 professional animators from 72 countries and has provided its members with opportunities to make programming for FOX, music videos for Radiohead and animation for Marvel Comics. This contest marks the first time Sesame Street has participated in an world-wide open competition for content in its 40 year history. A total of $50,000 in cash and development money is to be awarded to the winners. Additionally, the Grand Prize winning animation will be included in Sesame Street’s 41st season which begins airing later this year. This year’s awards will showcase the work of artists creating animations appropriate for pre-school age children in 5 different categories: School Readiness Skills, Pro-Social, re-make of the Sesame Street classic animation “Pinball Number Count,” Anything Goes “The Sky is the Limit”, and Community Favorite (to be determined by a voting tool on the Aniboom website). Each category will have one finalist determined by Sesame Street’s production staff (with the exception of Community Favorite). The Grand Prize winner will be chosen among the finalists by a panel of celebrity judges. “Animation as an art form and communication tool is especially powerful for developing children, and no programmer or educator knows that better than the producers behind Sesame Street,” says Uri Shinar, founder and CEO of Aniboom. Animators registered with the Aniboom Virtual Animation Studio will be able to submit their entries over an eight week period from March 1st until April 26th. The top 5 category winners will be announced on May 10th, 2010 and the Grand Prize winner on May 17th. For the full list of rules and Sesame Street animation guidelines for the competition, please visit http://www.aniboom.com/. 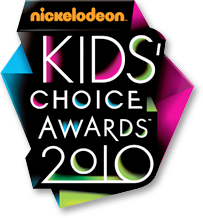 The 2010 Kids’ Choice Awards are on the way, airing live on Saturday, March 27, 2010. That means that the orange carpet, the celebrities, the fun, and of course the slime are all coming soon. Kevin James will host the KCAs, which will air March 27 from UCLA’s Pauley Pavilion. Last year’s broadcast was the cabler’s highest rated in the event’s history, with nearly 8 million viewers tuning in. Voting for the KCAs takes place online beginning Feb. 25. Warner Bros. Home Entertainment Group and redbox today announced a new multi-year distribution agreement that will make Warner Bros. new release DVD and Blu-ray titles available to redbox customers after a 28-day window. The agreement also marks the end of the lawsuit that redbox filed against Warner Home Video in August 2009. The new arrangement provides redbox with reduced product costs, sufficient quantities of product and optimal stock levels four weeks after street date as well as extends redbox’s access to Blu-ray titles, which redbox is currently testing in select markets. The agreement also provides Warner Bros. the opportunity to maximize the sales of new release titles as well as video on demand and other forms of digital distribution. Warner Home Video and redbox will be implementing delayed availability during the month of March and will reach a four-week window by March 23 with the release of The Blind Side. The new agreement will run through January 31, 2012. Redbox has also agreed to destroy Warner Home Video content following its lifespan in kiosks. Warner Bros. is currently a leader in many home video categories including total video (DVD and Blu-ray combined), Theatrical Catalog video, TV on DVD, and Blu-ray and will ensure the DVD rental company access to sufficient quantities of Warner Home Video titles including The Time Traveler’s Wife, The Box, The Informant!, Where the Wild Things Are, The Blind Side, and Sherlock Holmes. You are currently browsing the Granny Ranny's Coming Attractions weblog archives for February, 2010.